Of the one in 12 people affected by asthma, most are treated with corticosteroid inhalers, oral steroids, or intravenous steroids. Because the long-term use of oral steroids can have serious side effects, a non-drug treatment for asthma would be a significant improvement. Recently, scientists have begun exploring the use of CPAP as a treatment for those managing asthma symptoms. Asthma and CPAP: A Drug-Free Option? CPAP stands for continuous positive air pressure and is a machine that most people use at night for sleep apnea. 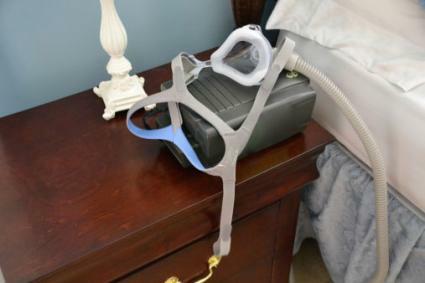 While there are several different kinds of CPAP machines, they all work by gently forcing air into the lungs, via a mask, while a person sleeps. Because asthma patients are more likely to be affected by sleep apnea and because they have shown improvement in their asthma symptoms while using CPAP, medical professionals have begun to explore the effects of CPAP on their symptoms. Since the idea of using CPAP as an asthma treatment is very new, there are no published large-scale studies as yet that have evaluated the effectiveness of this treatment option solely for asthma patients. Most studies to date have examined the use of CPAP only in asthma patients who have sleep apnea as well. However, a few small studies have been completed in the last couple of years that examine the use of CPAP for asthma symptoms in adults. A small clinical trial, conducted in January of 2014, found that the 10 asthma patients examined not only had a reduction in symptoms during the CPAP administration period, but for a week afterward as well. These results are promising and support the need for larger, more in-depth trials. In a 2012 study conducted at the Asthma Clinical Research Center at Indiana University, 25 adult asthma patients were recruited to test the hypothesis that asthma symptoms improve with the use of CPAP. Some of the participants received the actual CPAP treatment, and some used a sham process that mimicked the CPAP administration for seven to 10 days. The participants who received the treatment showed a decrease in airway reactivity compared to the sham group. Investigators caution that the study is too small to generalize to a greater population and that more information is needed to determine the type and severity of asthma that can potentially be treated with CPAP. In an interview with local media, professor Kurt Stoecker, who was diagnosed with asthma at 16, reported that he was excited about the potential for using CPAP instead of medications to manage his asthma symptoms. Stoecker uses his machine while he watches television. He says he hardly notices the mask. Researchers are hopeful that continued use won't be necessary to maintain improvement and that the benefits will be long-lasting. Nichelle Jones, a 39-year-old fitness instructor, reported to her local media that she was so improved after a month of use that she did not want to return the CPAP machine to the researchers. She did say that she had a little difficulty in adjusting to wearing the CPAP mask, but that the benefits far outweighed any initial discomfort. The use of CPAP for the management of asthma symptoms still needs a great deal more investigation before medical professionals can definitively show that it is an effective treatment for asthma. However, research to date offers hope for the future use of CPAP as a non-drug, inexpensive treatment option for those managing the disease. If you or your loved ones are affected by asthma, discussing the use of CPAP for the remediation of the symptoms with your doctor is a viable option. While it may not yet be possible to use CPAP without an accompanying sleep apnea diagnosis since the use of CPAP requires a prescription, you may be able to enroll in ongoing research trials to access the most current treatment options. Your asthma care professional can evaluate your specific situation and discuss any available options and/or contraindications with you.